So my friend has a Samsung Galaxy SII, unfortunately the back camera isn’t working anymore, the front one is working and he was able to test it using a built in testing utility that only shows a preview with no photo taking functionality. The problem with most (all maybe?) camera apps is that they first check the back camera and then crash since the camera isn’t working!. Using an old camera project of mine I removed most of the features (flash, focus, geo tagging, saving images to database with encryption) and changed the app to use the front camera using Camera.Open(1), so now he can use the front camera :). The reason I’m posting this is that the app might help if someone has a similar problem. 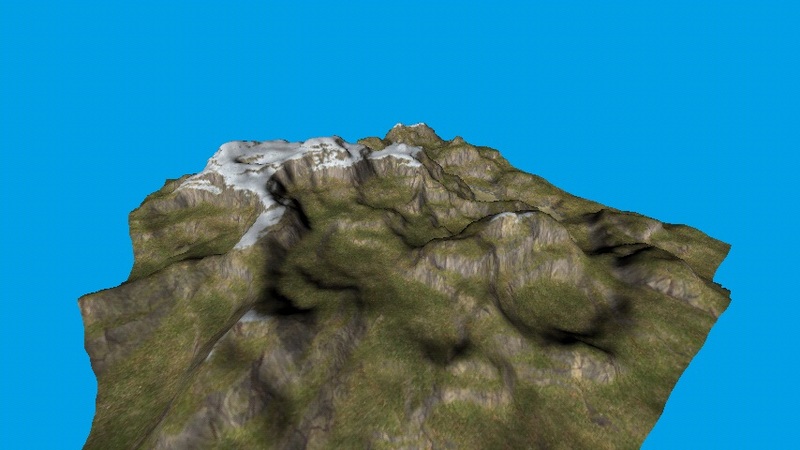 I found some apps that only use the front camera but some of them were laggy and I already had my own app half ready :D.
Hello :), a while ago I decided to learn OpenGL ES 2.0 in Android, so I decided to make a simple terrain, and now I want to share my thoughts about this experience :D.
Edit: after reading this post please take a look at Android Terrain Test 2 : Clouds where the code is better and bugs are fixed (clouds were added too 😛 ).